IDEATION | The impact of changing the face of your company. The impact of changing the face of your company. 24 Aug The impact of changing the face of your company. A rebrand of a company can mean so much more than facelift, it can be representative of social and political impact for the greater good. Nabisco’s rebrand of their classic animal cracker has hit the ground running! After over a century behind bars, the animals of the savanna roam free on the new redesign of childhood staple. 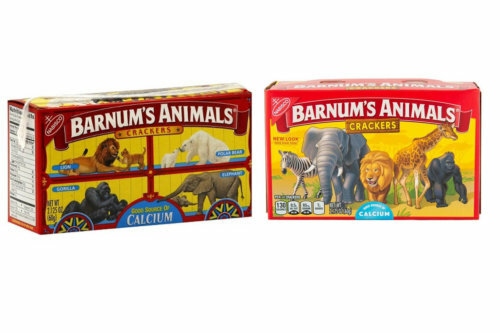 PETA, People for the Ethical Treatment of Animals, pressured Nabisco to redesign in protest against allegations of animal abuse in circuses. This is the perfect collision of activism and design where a packaging design can mean so much more than eye-candy for your hungry child. Seeing this rebrand all over the news recently has made us think of some other well-known brands that have made moves in 2018 with a big rebrand. We are going to break down a few of our favorites for you. The first company we would like to speak to is Air BnB, an online rental platform based in San Francisco, CA. Air BnB was founded in 2008, which makes this hip company only a decade old this year! Although they may have began in San Francisco, CA they have grown to a considerable company with locations in 191 countries. There has been a lot of criticism for the rebrand, pointing out that the new logomark resembles the shape of feminine parts. Although this rebrand was well thought out and purposeful, the logomark representing four symbols which are fundamentals of the company: people, places, love and Air BnB. Co-founder Nathan Blecharczk was quoted in response, “’It’s just like: Go ahead, laugh all you want, guys.’ Even with the stirred controversy around the rebrand, Air BnB is still a flourishing company. Another seasoned company similar to Nabisco that has had a recent change in appearance is Black & Decker, an American tool and appliance company. Founded in 1910 with the original logo bearing a hexagon shape representing a universal fastener. The intent for this original logo was to represent power and strength while the new modernized contemporary logo is representative of cleverness and innovation. Lastly, we have YouTube one of the front-runners for a video-sharing website for the past 13 years. 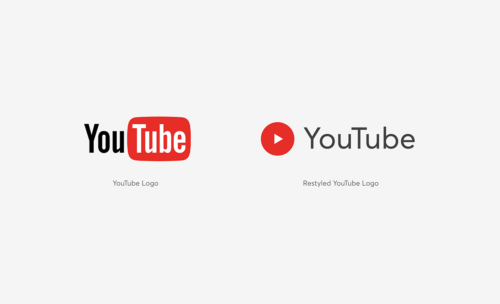 YouTube’s original logo emphasizes the “Tube” half of YouTube with a TV shape around it which they have dropped for the rebrand. This rebrand in particular is representative of the fluctuation of contemporary culture where viewers are not only watching videos on a TV but a variety of devices.